All about Herbal, Herbal Treatment, Cancer, Treatment Option, Herbal Medicine, etc. Cancer is one health problem in Indonesia. This disease develops faster and is expected of every one million inhabitants there are 100 new cancer patients. Cancer is a malignant disease that occurs when the body's cells hold mutation into cancer cells which then grow rapidly and no longer pay attention to his duties as normal cells. Cancer is a division and for normal cell growth that can not be controlled so that the rapid spread, which occurs from changes in cells that escape the normal regulatory mechanisms. These cells will damage body tissue that disrupts the function of organs affected. There are many theories about the occurrence of this disease, one of which is the free radical theory, in which excessive cell oxidation as a result of pollution (cigarette smoke, exhaust gas factories, vehicles), or use chemical substances (eg food addictive substances) can cause mutation , although the body also contained enzymes super-preventing oxidation, and food / good diet can also provide vitamins, minerals, and antioxidants such as beta-carotene, vitamin E, vitamin C, and selenium. Kaheksia cancer was found in 80% of patients suffering from advanced stages of malignancy and a cause of death> 20%. Each cancer kaheksia will give a different result. Kaheksia mechanisms of cancer not as simple as in starvation, the calorie intake is lower than the requirement, but there is also disorder of metabolism. Metabolic disorders that occur in cancer kaheksia influenced the release of cytokines and other kaheksia trigger factor produced by the tumor and the body itself. The main task of the colon (large intestine) as one of the digestive tract, except where the food scraps that will be issued, is also a place of absorption of water, electrolytes, and various bile acids. If the function is disrupted colonic absorption of residual interference will cause nutrients that are not absorbed by the small intestine. Some precautions that can be done to inhibit the formation of cancer cells is the pattern of life (behavior), healthy, such as by adjusting the diet daily. Nutritional diet balanced with energy, protein, iron, zinc, vitamin A plays a role in maintaining immunity. Lack of nutrients that will paralyze the immune system and ultimately the body is unable to stem the carcinogens (cancer-forming cells). Consuming foods with low fat content and high fiber can inhibit the occurrence of cancer. In addition to harmful substances, the nutrient content of certain foods there are nutrients that function as antikarsinogen substances, ie substances that are protective (protecting a person who consumes the incidence of cancer). Fibers from the vegetable food that can be digested important to draw the water surrounding the blood vessels, so that softens the stool and encourage the efficient expenditure through the intestine. 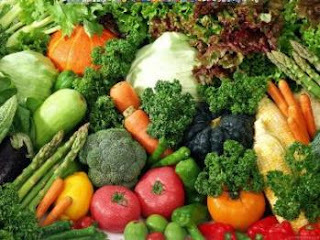 Food sources containing fiber are grains, skin and flesh of fruits and vegetables (cabbage, cauliflower, spinach, etc.). Beta-carotene found in many yellow vegetables such as carrots, sweet potatoes. Vitamin C is stored in many fruits such as oranges, guava, etc..
Vitamin E contained in vegetable oils, corn, cereals, green leafy vegetables, fruits. Selenium is widely available in meat, shellfish, cereals. Folic acid can be obtained from the consumption of green vegetables (broccoli, spinach, asparagus), seeds, liver, peas, beans. Calcium plays a role in the process of proliferation (proliferation) of cells in the mucosal lining of the colon (large intestine) of humans, therefore input calcium (Ca), which is high enough to reduce the occurrence of colon cancer. This substance is present in milk, yoghurt, cheese, spinach, broccoli. Vitamin B3 (niacin) in chicken, fish, nuts, lean meat, eggs, apukat. Vitamin D is in active form to inhibit the multiplication of cancer cells, we get a lot of butter, milk, egg yolks, liver, rice, fish. Zinc (zinc) are widely found in animal meat, chicken, eggs, grains, bread, milk. Alkylglyserol in shark oil, shark cartilage, is an angiogenesis factor which prevents the formation of new blood in the spread of cancer cells. Omage 3 derived from fish oil. 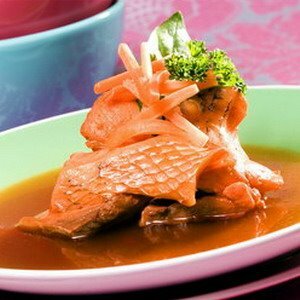 Soup carp: fish boiled / steamed is the healthiest choice of animal protein. Heating / cooking vegetables too long in high temperatures. Fry foods can lead to substance trans fatty acids. Repeated use of oil / used cooking contain free radicals such as peroxide, epioksida which are carcinogenic and mutagenic, which turns normal cells become malignant. Food contaminated by the fungus aspergillus flavus that produces aflatoxin as in rotten beans, cheese expired, is also carcinogenic. When cooking meat, will be formed compound HCA (heterocyclic amines amines) which munsul during the process of browning / browning, the fewer HCAs formed more healthy meat to eat. Grilling food is better than frying. Boil slowly with a gradual heat, steam, cook in the oven, practically does not produce HCA, so highly recommended. Limitation of red meat consumption to less than 3x per week, instead we can eat white meat such as fish, poultry, chicken. Increased consumption of vegetables and fruit up to 5 times a day, by consuming low-calorie vegetables, but many contain fiber like salad of cucumber, tomato, sprouts, cabbage. Vegetables containing natural antioxidants (carrots, broccoli) can be consumed more frequently, if necessary, made juice, capjay, cah. Increase fiber intake by consuming foods containing whole cereals (corn, oatmeal, green beans) or agar-agar, and fro, grass jelly, basil, and sea grass. packaged food labels need to be considered to view the content of nutrients, especially fat. Many factors can cause colon cancer, in addition to genetic factors, environment, lifestyle which includes also an unhealthy diet with high intake of fat in daily consumption. To prevent this, among others, through a healthy diet with balanced nutrition as needed, good carbohydrates, proteins, fats, vitamins, and minerals. Should we consume in a day at least 10 kinds of food (staple food rice, animal, vegetable side dish, various vegetables and fruit, if necessary, add milk), avoid foods that are less clean (both from microorganisms as well as in handling). In addition we must be vigilant against food processing outdated and inappropriate attention. And no less important is regular exercise appropriate physical condition to help nourish us. If we want to admit the truth of the opinion that health is not everything, but without health everything is nothing, and if the drug is seen as the basis for the nutrition therapy should be considered as a basis for recovery, of course, nutrition and health considerations would we put in place first. Raspberry Fruit Solution for Heart Disease, Diabetes, Etc..